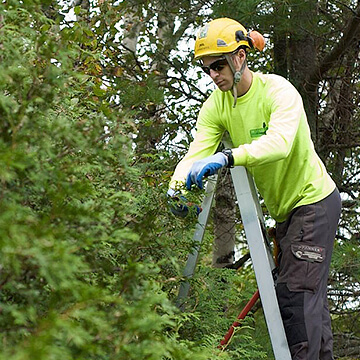 For tree pruning, tree removal, and more trust Treecologic. For some companies tree care is a job. For us it’s our life’s work. Why Treecologic? We’re the tree experts. We love trees, and we’ve spent more than 15 years working with them. It’s the most rewarding and inspiring work on the planet – and we want to do it for you. Yes, there are other tree services companies in Fredericton, but when you work with us you’ll see the difference that passion makes. We can help you enhance your trees’ health beauty for years to come. 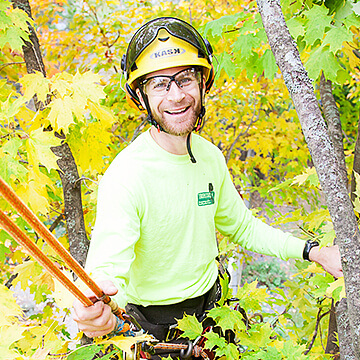 Owner Andrew Hayes is an ISA-Certified Arborist and a Certified Tree Worker-Climber Specialist. 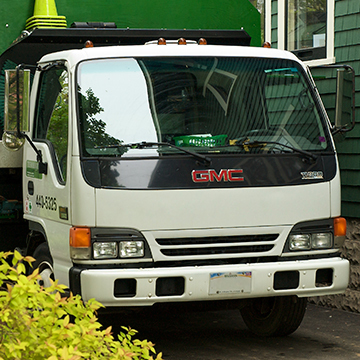 The whole Treecologic team is fully licensed and insured. Our approach to tree and shrub care is part art, part science – but the results are all breath-taking. Whether you want to remove dying trees, or encourage other trees to be healthier and more aesthetically pleasing, we can help. If for any reason you’re not satisfied with our work, we’ll return to re-diagnose and repair, if necessary, at no additional cost. Your satisfaction is paramount, and we’re fully committed to doing what it takes to make you happy.